Eighth-grade students are going through physical, social, and emotional growth spurts. They want to try new things and are interested in how things work. 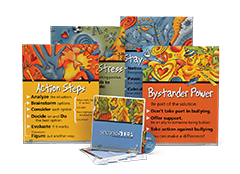 The evidence-based Second Step Program provides much-needed lessons on self-esteem, being a good friend, stereotypes, bullying on dates, substance abuse prevention, and keeping commitments. Students wrap up their middle school years with the skills they need for a successful transition to high school. The second year of middle school can present new threats, such as cyber bullying and sexual harassment. 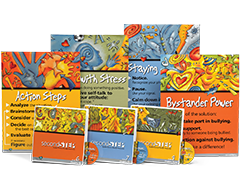 The evidence-based Second Step Program contains engaging videos and class discussions to help open lines of communication at school and at home, providing students with tools and strategies for coping with challenges and stress. The skills they learn can help them differentiate fact from fiction and make responsible decisions. Sixth grade is when many students first encounter peer pressure, substance abuse, and social bullying. 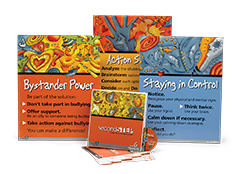 The evidence-based Second Step Program provides age-appropriate lessons to teach important skills, such as how to disagree respectfully, be assertive, and recognize and respond to bullying. Videos and class discussions engage students and offer strategies for solving problems, identifying hopes, and making plans. Transitioning to middle school can be tough. 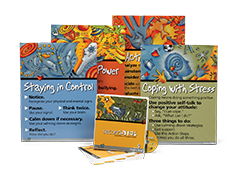 The evidence-based Second Step Program for Grades 6–8 helps schools teach and model essential communication, coping, and decision-making skills that help adolescents navigate around common pitfalls such as peer pressure, substance abuse, and bullying (both in-person and online). The outcome? Reduced aggression and support for a more inclusive environment that helps students stay in school, make good choices, and experience social and academic success.